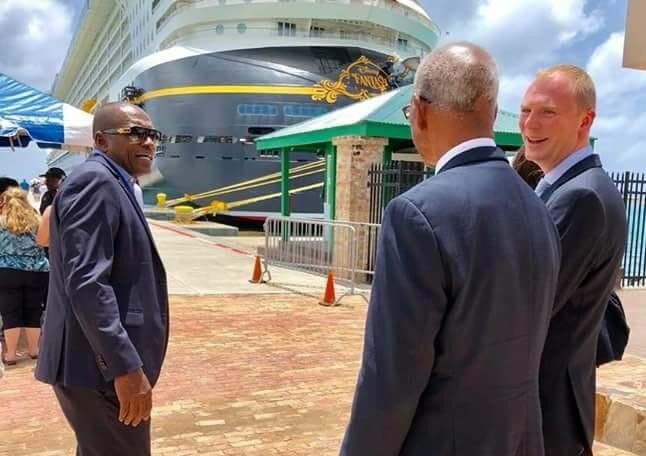 In a political radio broadcast, outgoing Minister for Communications and Works, Honourable Mark H. Vanterpool (R4), claimed that the cruise ship industry in the Virgin Islands (VI) earned the Territory approximately $70 million, annually in the past two years. The Minister did not however, reveal his source of the information, leaving many to believe the figures are bogus. Hon Vanterpool, who has been tied to the new cruise project scandal, noted his figures are as a direct result of the new cruise pier and Tortola Pier Park (TPP) development, as he struggled after three years to explain a $40M over run on a $50M project. The last figure he told the House of Assembly (HoA), on the Tortola Pier Project was $85 million and counting. Hon Vanterpool gave the bold projections for the industry on Monday, September, 3, 2018, during the NDP's ‘Drive Time’ radio broadcast. He was speaking to the TPP development, in an attempt to shed light on the controversial project. One Billion Dollars- More lies? This, he also credited to a January 2014 agreement inked with Disney Cruise Line and Norwegian Cruise Line, guaranteeing a total of 425,000 passengers every year for 15 years. 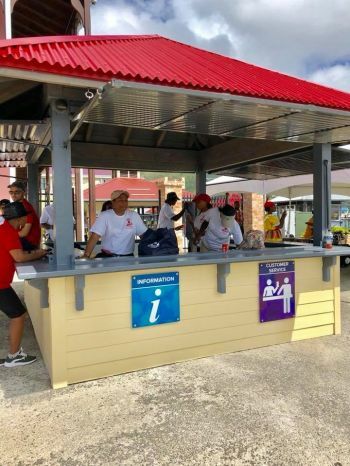 He said, at $15 per passenger head tax and with an increased clause in this contract, this would accrue to about $7 million each year in revenue for the VI over the next 15 years. Neither the BVI Tourist Board or the Government's Statistics Department could however, confirm these figures, leaving many to wonder if this is just the normal spin with no accountability for the whopping $40M over run. He said over a 10-year period, the figures will translate “to approximately $1 billion that will accrue to the people and the economy,” still not citing any source for this numbers. The Minister noted too that from a socio-economic standpoint, TPP was built benefitting over 20 local building contractors, in addition to the fact the pier park employs over 200 local persons and provides business opportunities for over 70 individuals or companies. There have been three reports on the TPP one from a Project Manager Hugh E. Darley, another from the Auditor General Sonia M. Webster and one from the HoA Public Accounts Committee. They have all spoke to corruption on the project, no value for money, conflict of interest and no one looking out for the tax payers. Could have been bringing in more if he haven’t stole some of the money. That is awesome so where is the money? 1 billion dollars? I hope so. However, all I am asking is when this happens, please submit proof to the public. You Politicians need to come clean and show some respect to the public that elected you in office. Menstrual cycle alive n well. The containers just drive out the gate, or the drivers has the gate openor. This sounds like an inside job. They have a right. You know why, because when the come with all their lie and enuendos, it have people who believe that whatever comes from their mouth is the gospel truth and will go at length to defend them at all cost. To some people, this NDP Government can do no wrong. lies and more lies vote them out! "They have all spoke to corruption on the project, no value for money, conflict of interest and no one looking out for the tax payers." So based on the 700,000 cruise visitors stated... and an average of say 3,000 passengers per vessel.... we would have had 4.487 cruise ships PER WEEK.... arrive. Must be ghost ships out there somewhere. Does that include space ships? Just wondering. The entire cruise ship scenario has been a boondoggle for Tortola since its inception 20 years ago. The "cruise sheep" spend no money and leave behind their rubbish and waste, while the execs from the cruise companies tell BVIslanders what to do and what they will pay just like puppet masters pulling the strings. 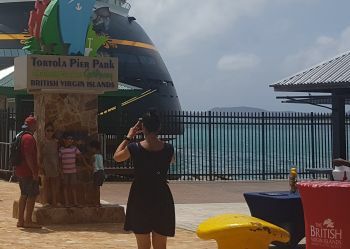 Everybody, tourists and locals, would have been far better off if all the funds wasted on wooing the cruise ships and building the cruise ship dock and pier park had been spent on improving the infrastructure of the islands for the folks that come here to stay on land and/or yachts. Land and yacht tourism by far brings more money to the people of the territory than the cruise ships ever will.